Is milk bad for you or good for you? The media provides confusing coverage of milk’s health benefits and risks. Sussing out whether we should drink the cold white beverage or not can be a chore. Below, we’ll look at what the Harvard School of Public Health says about the question. We’ll also dig into the dangers and the perks of drinking milk. In the end, we’ll see the answer is that it’s fine to drink a little milk but bad to pound the stuff. We’ll also see milk’s nutrients can come from other sources. Milk is bad for you according to Harvard Health. In 2012 the medical school released an updated version of the “Healthy Eating Plate.” What’s on it? Lots of vegetables, a little fruit, plus equal shares of protein and grains like brown rice and whole grain bread. What got cut from Harvard’s Healthy Eating Plate? Milk. According to the school, while calcium boosts health, milk isn’t the best source of it. Leafy green veggies and broccoli both pack lots of calcium. They also add vitamin K.
By contrast, the casein in milk pumps up the risk of certain cancers. It also promotes heart disease and other illnesses. There’s no shortage lately of articles explaining why humans should not drink cow’s milk. But really, is milk bad for you? Fractures. What? Doesn’t milk make stronger bones? Actually according to Dr. Walter Willett at Harvard Health, countries where people don’t drink milk have lower fracture rates. Calories. One cup of milk has about 140 calories. Drinking three pint glasses per day gives over 700 calories. About a third of an entire day’s calorie count. Cancer. The casein in milk is linked to prostate and ovarian cancer. Heart Disease. Studies show milk’s casein protein causes heart disease. So does milk’s cholesterol. Diabetes. Score another black mark for casein. It’s strongly linked to diabetes risk. Those are some pretty strong indications milk is bad for us. But before we toss dairy out the dietary door, let’s look at the flip side. Fractures. Okay, so we listed “fractures” above as one way milk is bad for you. That’s because a study showed that countries where they don’t drink milk have lower fracture rates. But that doesn’t mean their bones are stronger. Milk-drinkers might also engage in higher-impact activities like sports and rock climbing. Just because two things exist together doesn’t mean one caused the other. More people get sunburn after laying on beach towels, but that doesn’t mean cotton towels cause cancer. The bottom line? Milk packs calcium, and that means stronger bones. Heart Health. While the cholesterol and casein in milk ding heart health, milk is a good source of potassium, shown in studies to lower the risk of heart disease. Potassium also lowers blood pressure. Cancer. 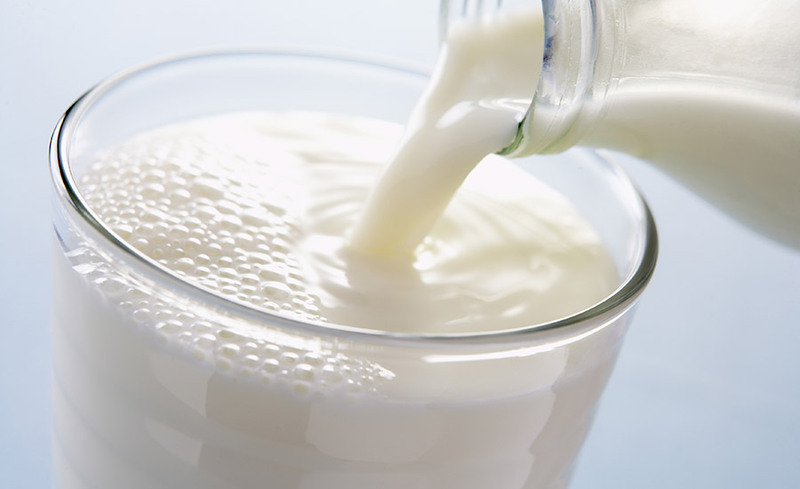 Milk is rich in cancer-fighting vitamin D. Milk’s calcium and lactose are also thought to prevent ovarian cancer. Depression. Vitamin D amps up our serotonin levels. Serotonin is the “happy hormone,” so milk may battle the blues. For a healthier alternative to milk, try yogurt. It’s milk with helpful probiotics added. That means you get the bennies without the badness. Anyone reading through the list of pros and cons above may be left wondering, “so is milk good for you or bad for you?” The truth is it’s a little of both. It’s true some studies show the casein and cholesterol in milk bring health risks like cancer or heart disease. It’s also true the vitamin D, potassium and calcium in milk give real health benefits. Ultimately people can get potassium and calcium from other sources and vitamin D from sun exposure. The question is whether they will. In the meantime, don’t run screaming from a cup or two of milk per day. That said, the medical evidence strongly recommends against drinking gallons of it. In the end it all comes down to a piece of advice your grandmother could have given you: Everything in moderation. Previous PostHow to Pick the Best Spirulina SupplementNext Post Is Coffee Fattening and What Can We Do About It?